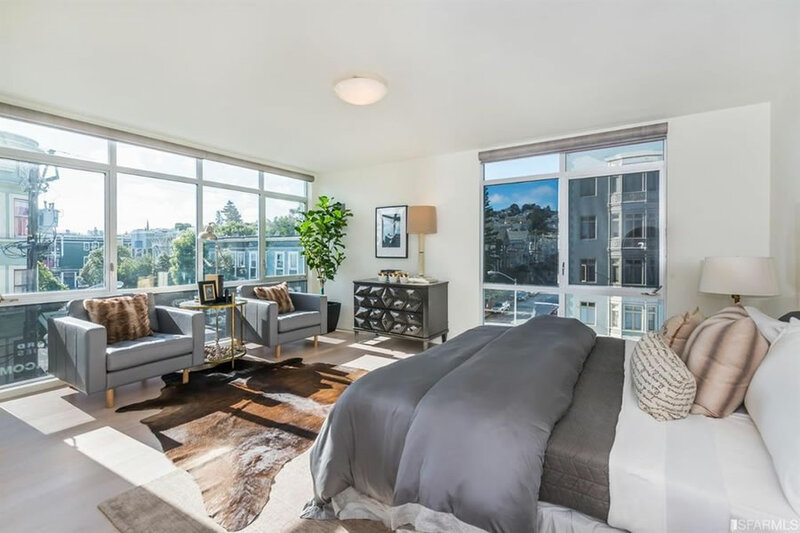 Purchased for $2.595 million in July of 2015, the Inner Mission penthouse unit #504 at 3590 20th and Valencia Streets (a.k.a. 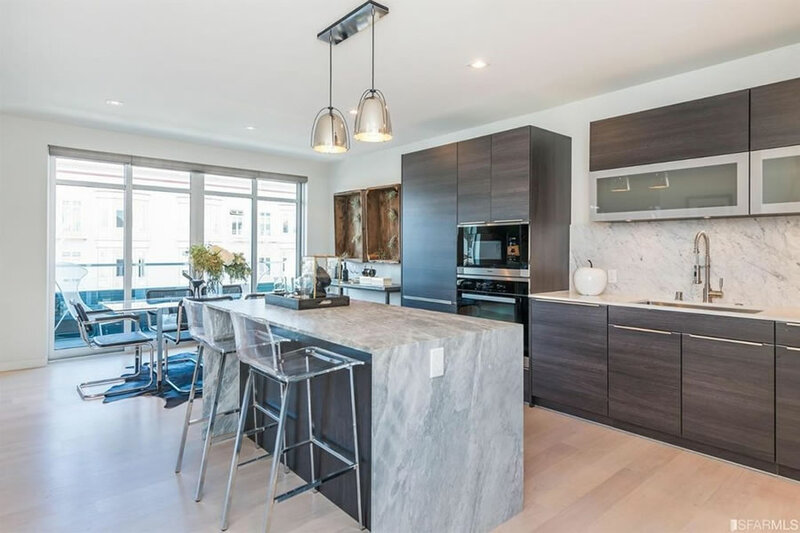 the “V20” building) returned to the market listed for $2.8 million last year, a sale at which would have represented annual appreciation of 6.3 percent for the 1,811-square-foot, 3-bedroom unit with balconies, city views, a private roof deck and a dedicated parking spot below. 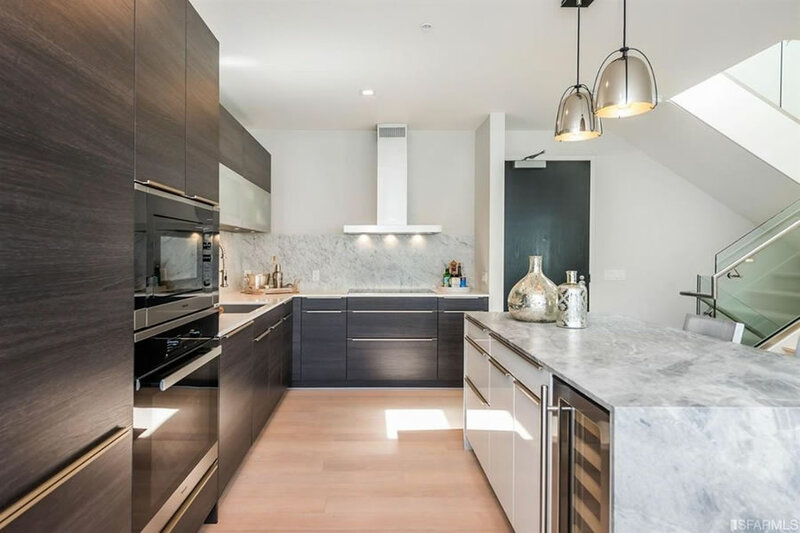 Reduced to $2.6 million at the beginning of this year, the unit was re-listed anew for $2.575 million, and with an official “1” day on the market, this past March. 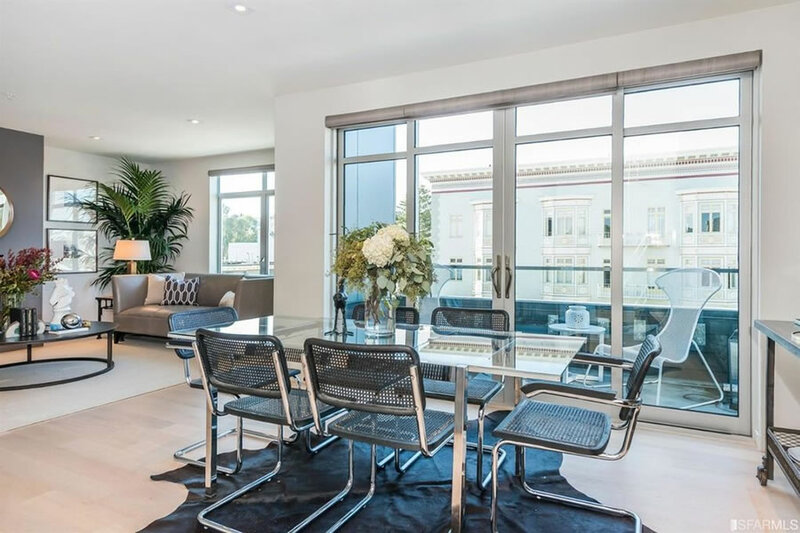 And this morning, the asking price for 3590 20th Street #504 was reduced to $2.49 million, a sale at which would represent total depreciation of 4.0 percent for the three-bedroom condo “in [the] coveted Inner Mission” over the past two years on an apples-to-apples basis. I’ll never understand why the quasi-rich want to live among the poor. What is it about being sheltered that makes you want to live in neighborhoods where people can barely get by while you look down on them from an ivory tower? I’ve been poor and I’ve been not so poor. Now that I’m not so poor, I’m happy to have the security of living among similarly situated people and feel no need to flaunt my success in front of the less fortunate. um, if you think 20th and Valencia is “among the poor” or “where people can barely get by”, you either haven’t been there in 15 years or have very strange standards. I think it comes down to Millennials having a greater preference for urban living than the prior generation, perhaps as a reaction their Baby Boomer parents’ migration to suburbs. This is the most nonsensical, absurd assertion I’ve read yet on this Board. You live in a CITY. A small city at that. People live in close proximity to work, food, etc. If you think there’s something intrinsic about lauding success over the less fortunate, I think you need to evaluate your own motivations. I lived within a block of this location until very recently. It is a truly fantastic place to live. I genuinely think it is one of the most special places in the entire country. I do not think I would trade it for my current neighborhood, but if you think the appeal of this neighborhood is “flaunting your wealth” I think you’ve got it wrong. I lived at 19th/Mission about 12 years ago when it was cheap and I had couldn’t afford to live elsewhere in the city. There were two shootings in front of Beauty Bar within 6 months of each other. Now, it’s trendy to live in a neighborhood like The Mission, TL, HP/Bayview, Bed-Stuy, etc. because sheltered Millennials want to appear to be edgy when there is nothing edgy about them, whatsoever. 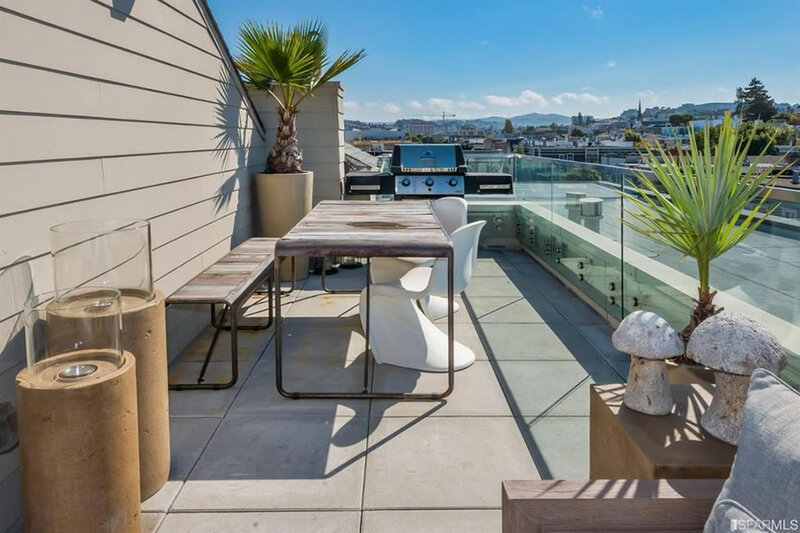 I moved to Pac Heights when I could afford it because I didn’t see anything thrilling or cool about rampant violence, filthy sidewalks, drug-addled zombies, hookers, needles and scummy people. Disrupting these neighborhoods is the worst part of the trend, though. It’s one thing to try to impress your pals back in De Moins by overpaying to live in a slum, but it’s another thing to displace poor, working families and having zero regard for your neighbors. Other people feel differently than you do. I’ve lived in SF for about 30 years. I’m now 64 years old. Among the neighborhoods I’ve never wanted to live in in this city I love is Pacific Heights. It’s posh, orderly, relatively quiet, and the views are grand, and I enjoy visiting, usually on foot. These are not trivial qualities. 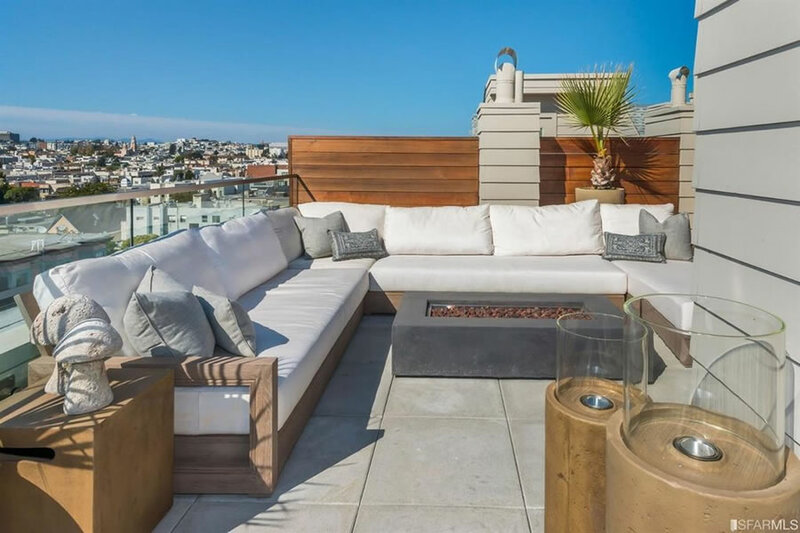 But Pacific Heights is also low-energy, inconvenient, rather monocultural, and relatively uninteresting – in a word, dull. Personally, I’d much rather live in the Inner Mission than Pac Heights. We’re all solipsists to a point; the trick is to recognize – or try to – our own solipsism. Not everybody is like you. Or me. In sum, Stop Driving: Different strokes for different folks. I agree with boojum. I didn’t move to the city from the south bay to live among a bunch of SFH. No Pac Heights. No Marina. No Sunset. No Richmond. Boring boring boring. 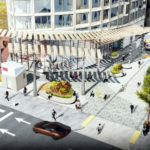 Yes to Mission, Downtown, SOMA, North Beach and Dogpatch. These things are all wildly different and yet you wish to make a broad point from there? That’s nonsense. You don’t like the Mission. Noted. Stop Driving: if you really are sincere about caring for your neighbors, you might do well to talk to the ones you seem to hate. I have met my new, young neighbors and they love living in San Francisco, care about me (I’m an old timer, living in SF for the last 46 years) what our community was like when I was a kid, etc. I’ve never met someone yet from Des Moines, but I’d welcome them. Like my neighbors, they faced challenges to get here, and never knew the cheap rents you and I did. I bet if you showed more compassion and less contempt, you’d be seen by your neighbors (long-timers and newcomers alike) as the kinder, gentler person you clearly wish you could be. I agree with stop driving. 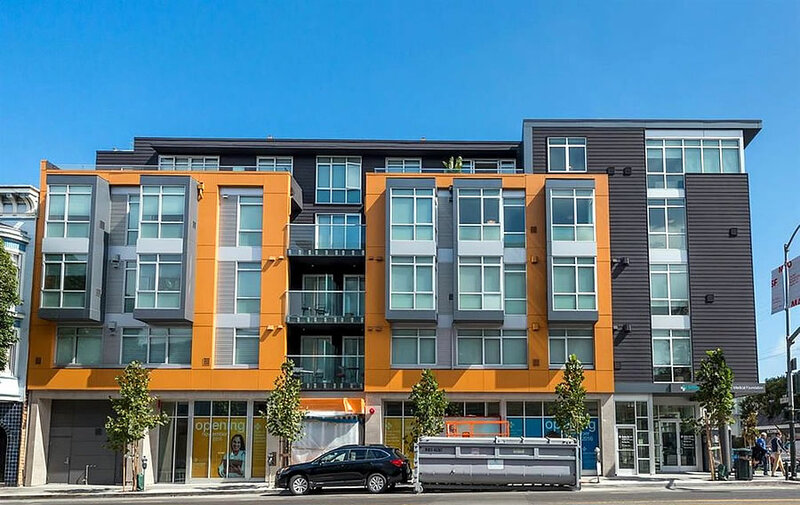 Only suburbanites want to live in the mission. Those who grew up in the inner city cant wait to get away from the junkies. Who wants to sleep with some wacko screaming outside at night. You sleep in pac heights where its quiet and safe. Then when you wake up you go to the mission if you want excitement. “sheltered Millennials want to appear to be edgy” – did all the Millennials you know tell you this? Or can you tell just by looking at them? Living in Pac Heights vs Mission could easily add an hour or more to your daily commute, depending on where you work. That alone is a huge factor. i think more americans need to acknowledge class and its impacts on everything from personal safety to health outcomes to school options and internships and career choices. we are a nation of increasing stratification and surprisingly little true mobility. that said, @stop driving, your take on this is part of the problem. your ability to move from poor to other is the exception not the rule – as was my own families. us/them, poor/”not so poor” (signaling the very american idea that almost everyone who is not poor is middle class or “quasi-rich” at best), these divisions are self perpetuating. and sheltered? ivory tower? this is the opposite, open living among classes. if not in the same building at least side by side…not a gated and sanitized existence with its false shallow sense of “security”. not walking across a green campus reading proust and avoiding eye contact with the people who keep it clean. also this neighborhood is hardly poor, a wealth of restaurants at all price points, artisan bread and pizza and ice cream and coffee, google buses all morning and all evening, the cities best bike commute, bogedas and bi-rite, and the new bricks and mortar outposts of successful click retail. and being successful among the less fortuned, not by definition the”less fortunate”, is not flaunting anything. its all about engagement and listening and giving time and money where one can. if i really know my neighbors and their struggles how could i ever support government rollback in health and education spending or after school programs or recreation spending or care for the elderly? This is the only person in this comments’ section who really gets it. But I still think there was a strange sort of logic to living in the Mission as someone of means during the Obama era. This was an era in which the value of some type of victimhood status was extremely high in our society, allowing you all sorts of privileges not afforded to those who are “not victims” and we in which we embraced a ‘brown’ (their word, not mine) president from what was previously and underclass/race – you could say different things, think different things, gain favor solely based on your previous lack of status, get an edge in schooling and employment through being more victimized then the next person – like everyone looked for the next Nirvana in 1992, in this case their was a veritable cottage industry of little Obamas, and so attaching yourself to the underclasses had cachet. The millennial embrace of Obama could be seen as akin to the millennial embrace of the Mission, both of which make little sense to detached observers when you consider other things that would have been disqualifying for other candidates/neighborhoods (affiliation with known terrorists, regular murders and ‘wilding’ incidents, marijuana, poop). The want to live among the poor who they can sort of superficially commune with (as ‘modernedwardian’ described) also has economic value in that there is a slight priority in choosing schools not with those peoples’ kids if you live in a s*** neighborhood in SF, so there’s that – this fact seems like a metaphor for the dynamic I attempted to describe above. Also, as others have noted, the west side of the city, for my dollar still most desirable, lacks the liveliness afforded by lots of restaurants which thrive due to the immediate availability of a serf class. There is much economic value in simply living near where the supply of cheap labor is (at least until the Antonio Roboto Jrs© take over for the Antonio Sabato Jrs – it supports all types of ventures that haven’t popped up as much on the west side (unless you like Thai!) because the cheap labor simply lives too far away to make the business viable. That we have sort of moved on from this era into a new zeitgeist might be part of what is causing a small downtick, along with more obvious factors like millennials’ “discovery” of Oakland, new condos being built, etc. I will say that combing the comments’ sections over the last half year or so has been highly entertaining – ‘Why is there poop everywhere? Why is there a meth addict living on my porch and he won’t leave?’ like moving to Abu Dhabi and wondering why there are so many Arabs. 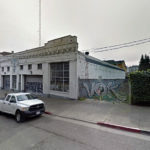 Suspiciously, for a group that supposedly moved into areas like the Mission in order to “experience diversity” or whatever, there is a surprising amount of griping about why that diversity won’t move out so they can have their apartment/off my porch because I need to exit my residence. There is also a surprising amount of surprised-ness about crimes occurring in Dolores Park , Bernal Hill, but that is a discussion for another time. You’d have to be more specific. You really are ascribing motivations to people without any basis. And the Obama stuff is downright kooky. When I was in my 20s I lived in NYC. My first apartment was in the Upper East Side which I found yawn inducing so I moved to the East Village after a few months. Not because I wanted to appear edgy but because all of the music venues, cheap and/or interesting restaurants, bars, etc. were there. And this was during the Reagan and (first) bush adminstration, so having a liberal president had no bearing on it. I imagine, as ayhsmb says, young millenials move to the Mission for the same reason. I moved to the Mission about the same time you did (11 years ago) largely because the area had great restaurants, great bars, great cafes, all within walking distance, plus Bart and good public transit, great weather, general centrality, and … oh yeah, most of my friends lived here. I’m glad you’ve found someplace you like to live, regardless of where it is, but why make hateful assumptions about why others live here? 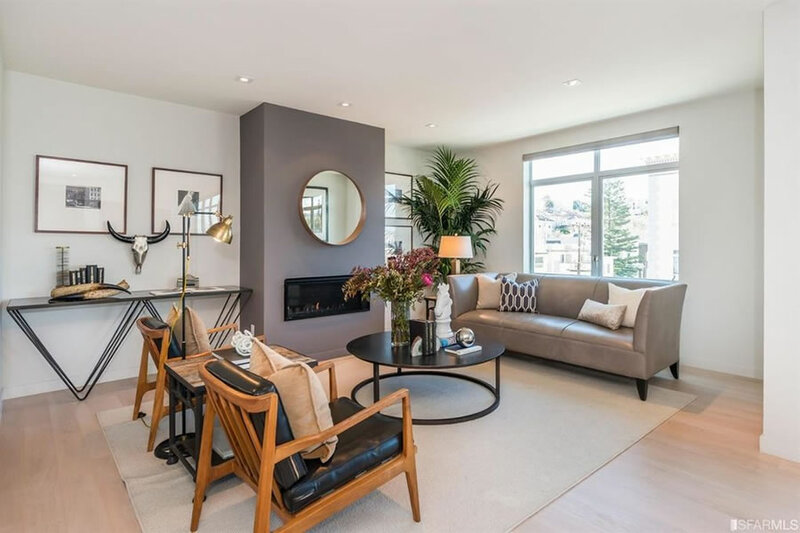 Will be interesting to see how this randomly selected apples-to-apples unit compares to 450 Hayes #2F, just closed at $1,060,000, up 6.5% from the sale 10 months ago (equally randomly selected). Known outcome? Check. Different neighborhood? Check. 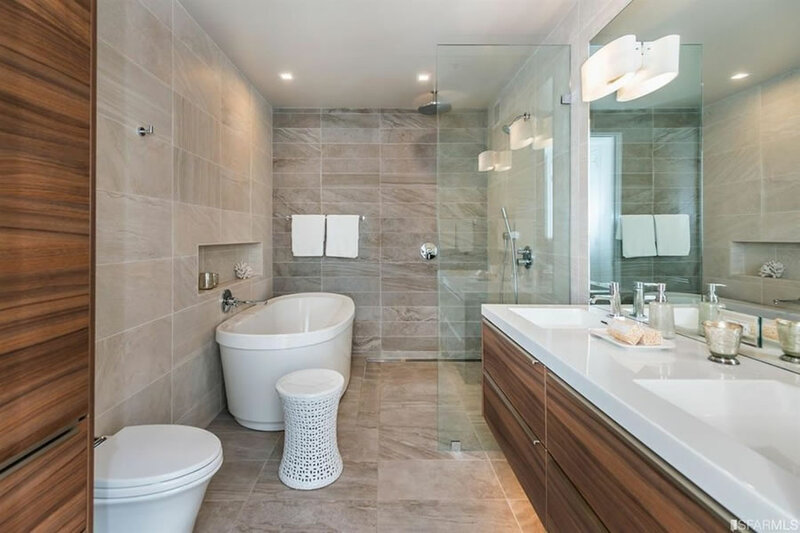 One bedroom versus three bedroom? Check. But at least you’re consistent. Yeah, not a “known outcome” on this Mission place, but coincidentally, I’m sure,, it did not show up here until the asking price had already dropped a few times to below the prior sale price. Consistency all around! Again, it’s your blog. But let’s not pretend the picture is being objectively painted. This apple was picked long ago by a reader and the outcome would have been featured regardless. But we have to take into account the observer effect, unlike you. As an old physics major, I’m very familiar with the typically misunderstood (as here) “observer effect.” I wish I’d known when I sold my last place that I could juice the selling price simply by observing the place. If that’s the case, you might want to take a refresher course (along with one in marketing). Keep in mind that our “observations” are typically delivered to around 200,000 unique visitors in any given month and over half a million people a year. ps – if that’s the kind of juice your observations have, then yes, you probably should have. And again, if that’s the case we might suggest a refresher course (or two). You’re likely confusing the observer effect with Heisenberg’s uncertainty principle. It is a common mistake indeed — but you’re the one repeating it. The “effect” is, in fact, simply errors in the way measurements are taken. But I’m sure you’re “observations” are moving the market. Just like mine once killed a cat. Yes, that’s the common mistake I mentioned. That is not a real “effect” at all but just a measurement error. It’s easy to illustrate. You “observe” a football game by standing on the 50-yard line (to “measure” the players’ speed or whatever), and the players have to run around you, and you think “the act of observation alters the outcome of what’s being measured.” But it’s just that your method of measuring was all wrong. “Observe” the game on TV, and your “observation” obviously affects nothing. Common mistake. But I’m impressed by your readership numbers regardless. So close! What you’re describing, in terms of selecting a particular measurement technique and how different methods can really effect or alter the outcome what’s being measured, is precisely because of…the observation effect itself. Anon is 100% not mistaking the observer effect for Heisenberg’s uncertainty principle. Good try, though, SS! Stick to real estate, not physics. But if the editor keeps his observation to himself until the outcome is known, people such as yourself cry about cherry picking. If he publicizes it prior to the outcome being known, this parades the property in from of hundreds of thousands of potential buyers. anon2, that has nothing to do with observation, but with publication. And . . . so what? The editor posts about homes all the time before they are sold. Point is he selects things that already have indications of a certain outcome. They are not random or representative, and therefore useless for showing any broader trend. If the editor’s crystal ball is so clear that he can predict the outcomes of individual sales in advance, why do you so distrust his predictions of the broader market? Much easier to look at a listing whose price has dropped four times to predict “it will sell at a low price” than to randomly select an “apple” and make a prediction. I believe Anon’s point is that the individual data points highlighted by SS may be consciously or unconsciously selected and are not representative. With so many transactions choose from, it is possible to select only apple-to-apple comparisons that result in lower prices, just as it would be possible to select only those comparisons that result in price appreciation. I believe Anon was mentioning 450 Hayes as an apple-to-apple comparison that resulted in a higher price. Apparently, physics majors have a lot of time to burn. First off, there was a time when the market was so strong that you’d be hard pressed to find any bad results in an apples to apples sense. The fact that the editor (or anyone else scanning though sales) is able to produce bad apples with some regularity does provide information about the market. The fact that “anon” can come up with good apples provides negligible information about the market except to fight his favorite straw-man that people are claiming that the entire market is currently already crashed. If you live an a country where all swans are white, being able to produce a few black swans provides new information. Being able to produce a few white swans provides no information. My first point holds regardless of how the apples are selected. But also notice that the editor is posting his apples before the result is known, whereas anon is posting apples whos result is allready known. So you recognized the downward trajectory of listing price and find it easy to predict it will sell at a low price? Nearly all buyers will follow the same thought process. Once the market weakens slightly and this realization percolates through the buying public, they will alter their price expectations which dramatically affects affordability which will reduce demand and thus further weaken the market. The evidence seems to be that the market has plateaued for some time. So about half the swans are black and about half are white. No matter how many trendy restaurants it has, $2+ million is a lot to pay for living in a neighborhood with hundreds of deranged junky homeless people. As evidenced by past sales – some people with that kind of money are willing to do so. But it is not a stable equilibrium. Either sales prices come down or the owners of these properties organize and lean on the City to move the poor people out. Either way it’s a rough patch ahead. 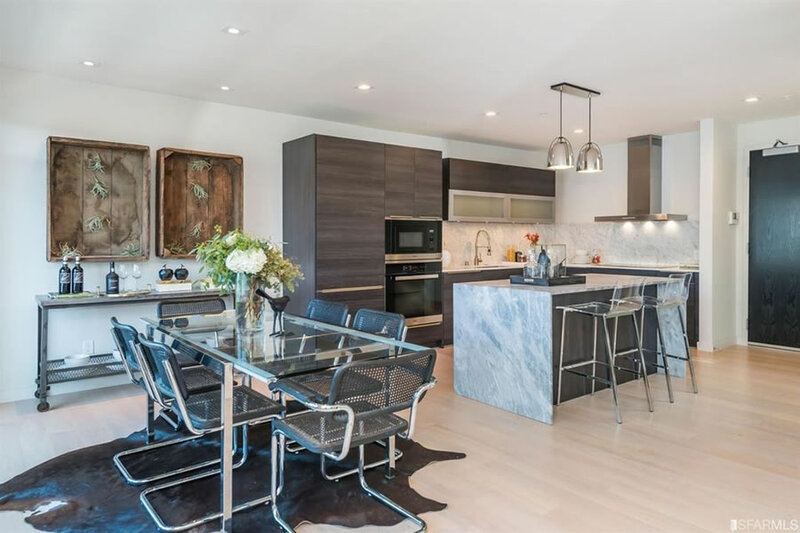 UPDATE: Our apologies for missing it at the time as the listing was pulled from the MLS, but the sale of 3590 20th Street #504 quietly closed escrow this past October with a contract price of $2.239 million, roughly 13.7 percent below its 2015-era value on an apples-to-apples basis.